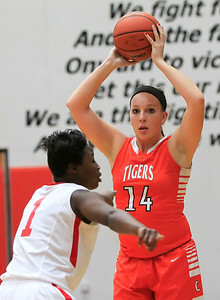 Candace H. Johnson Crystal Lake Central’s Kristen Bernero looks to drive around North Chicago’s Tineesha Coleman in the third quarter during the Northern Illinois Girls Holiday Classic tournament at McHenry West High School. 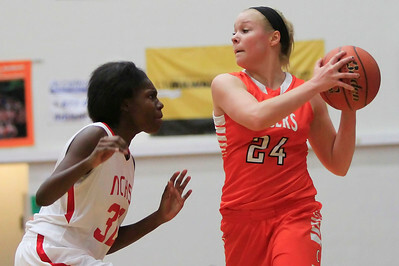 Candace H. Johnson Crystal Lake Central’s Maddy Lerum drives past North Chicago’s Carolyn Leonard in the third quarter during the Northern Illinois Girls Holiday Classic tournament at McHenry West High School. 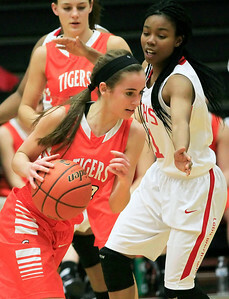 Candace H. Johnson Crystal Lake Central’s Shannon Ellman looks to pass against North Chicago’s Zyaire Strowder-Butler in the first quarter during the Northern Illinois Girls Holiday Classic tournament at McHenry West High School.